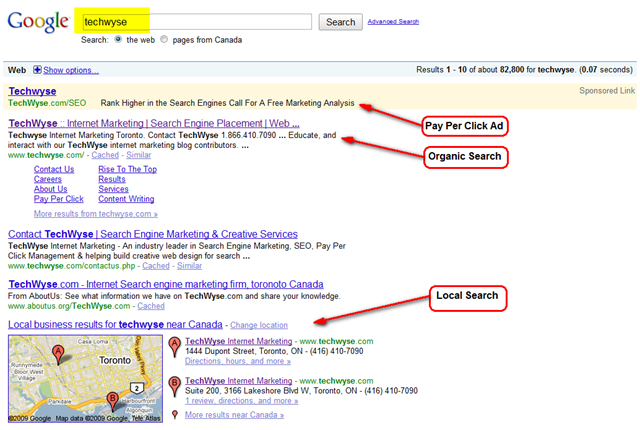 Search engine marketing is all about getting your name in front of visitors that relate to what you do. 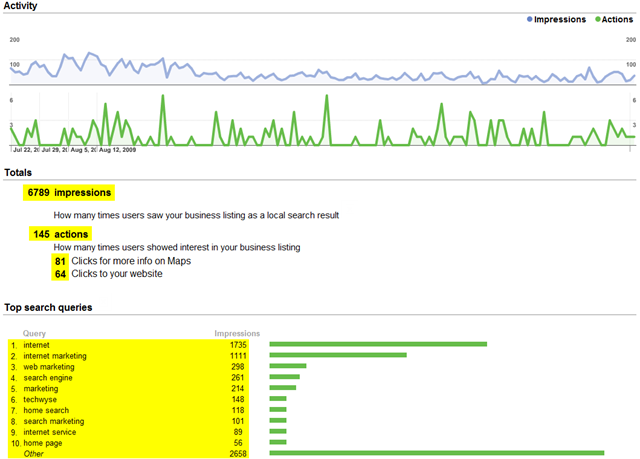 Over the last year, we have witnessed significant growth of ‘Local Business Search’ in the big three search engines. As you would likely expect, Google has built the most extensive system both in terms of adding your business and measuring the effectiveness of your listing. This article is dedicated to helping you understand what Google ‘Local Business Search’ is, why you want it and offer tips and tricks to achieving maximum results. 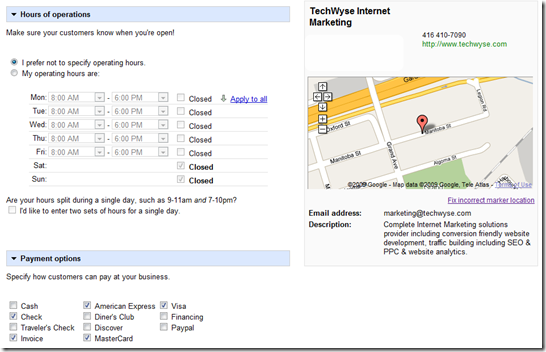 What Is Google Local Search? 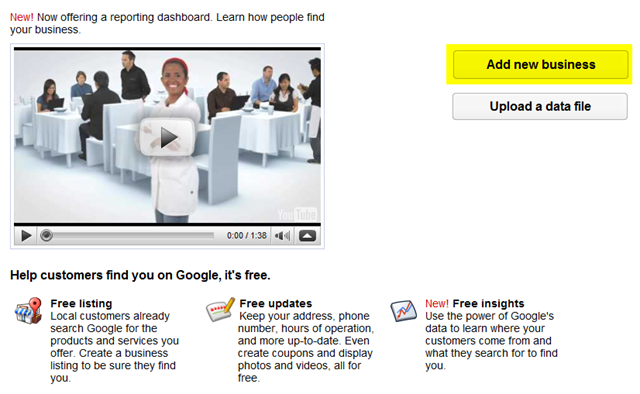 Before I get started, if you are wondering why you should use Google ‘Local Business Center’ watch this 90 second video. 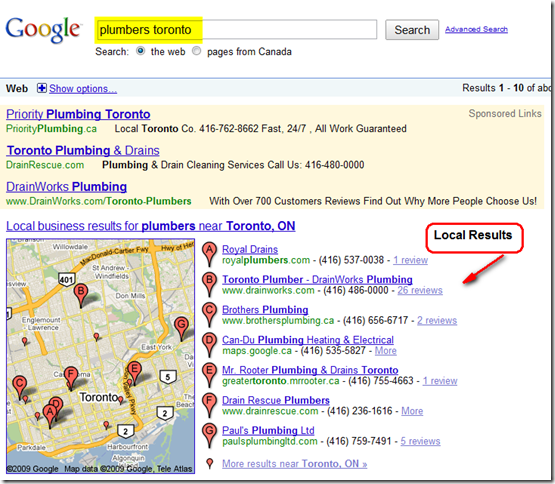 ‘Local results’ do not come up for every time a search is conducted. Instead, they come up when Google feels the search you are conducting is considered ‘Localized’ in nature. 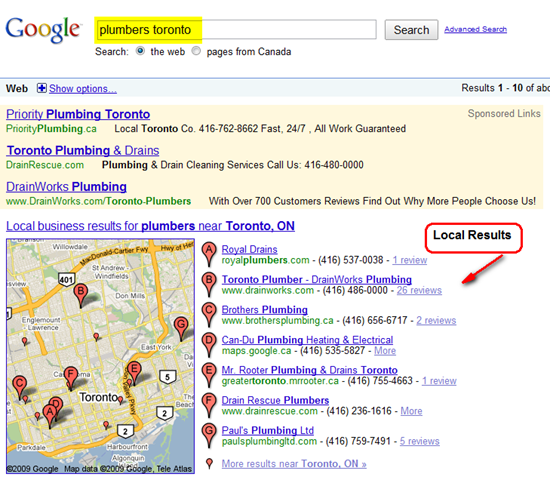 Here is an example of 2 instances of a ‘Local Search’ on Google. Here is what happens when we type in our own company name – TechWyse. In both cases, note that Google is choosing to display information that is relevant to the search conducted. While their search ‘bots’ are incredibly effective in offering relevant search results they are not perfect. With Google ‘Local Business Search’ this is where you come in. You can help Google understand who you are, where you are located and many other business related items that will help them understand when they should be showing your business. 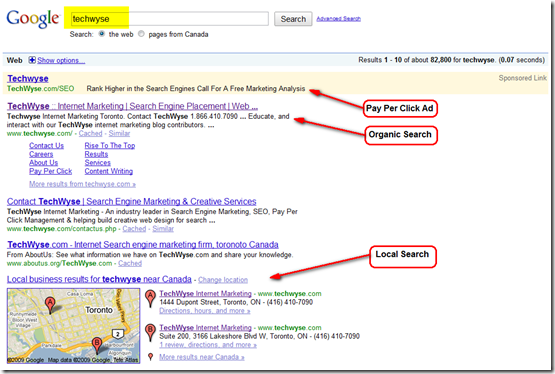 Why You Want To Be Found On Google Local Search? If you understand the value of search engine marketing then you already know the answer to this question. Quite simply, every link found on the first page of every search conducted is valuable real estate that searchers can click on. If Google is showing ‘Local Business Results’ in a particular search than this is an opportunity to have someone searching for something relevant to come to your website. Kind of a no brainer isn’t it? 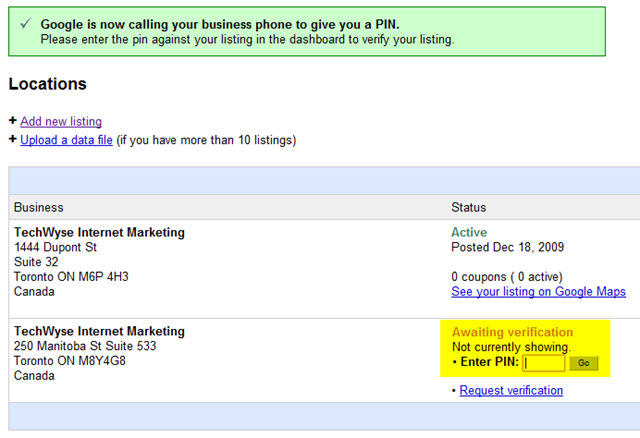 Here is a sample of what a Google listing owner will see when logging into their account. 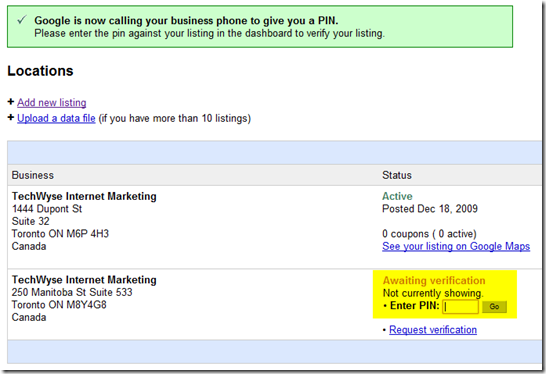 Here are the steps involved in getting listed properly on Google Local Business Search. 2. If you have a Google Account already now is the time to login with it. If you do not, then sign up for one now. If you are new to Google Accounts, your account does NOT need to be GMail. It is nice to use the same domain as your company in most cases. If you are creating a new Google Account do not forget to check your email and verify the link that Google sends. 3. Time to login! If you aren’t at the login screen for Local Business then get back there now! www.google.com/local/add . Once logged in you should see the screen below. 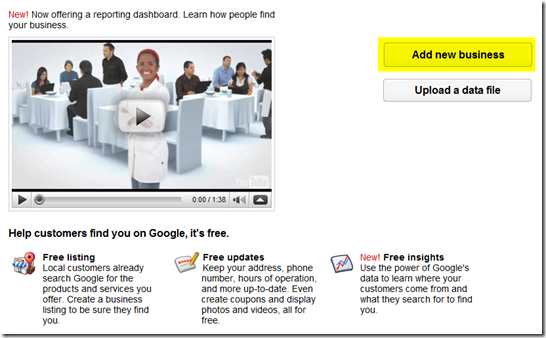 If you have many locations you can upload a data file but for most people you are going to “Add New Business”. 4. Enter business information now. Location – Make sure you use the main location or core area you do business as your first location. Phone Number – Make sure the phone number you use is the main company phone number. Hopefully it is not hooked up to an automated answering system as Google can quickly authenticate you if they can dial this phone number and connect immediately. 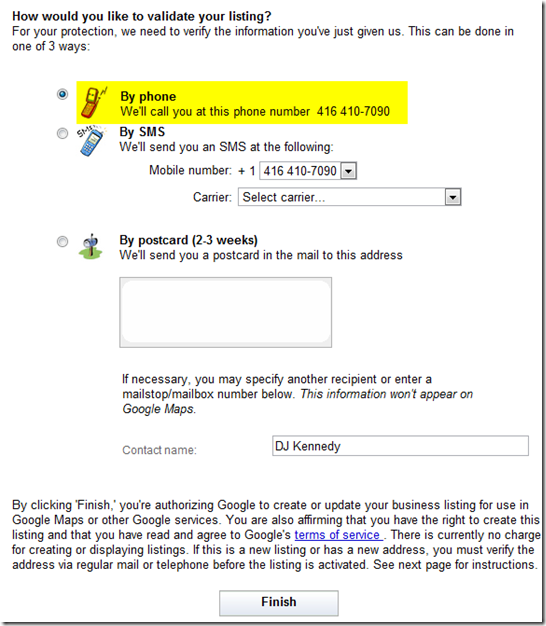 Email Address – this should be your main central email that you want searchers to reach you at. 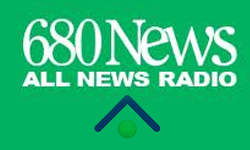 Most companies would use an address like info@yourdomain.com or sales@yourdomain.com. It is also highly recommended to ensure the email used matches your domain name. Description – Be descriptive of the services your company provides. Try to use relevant keywords that people may type in but do not sacrifice the quality of your description so that you can stuff keywords in. In other words – make sense with your description! 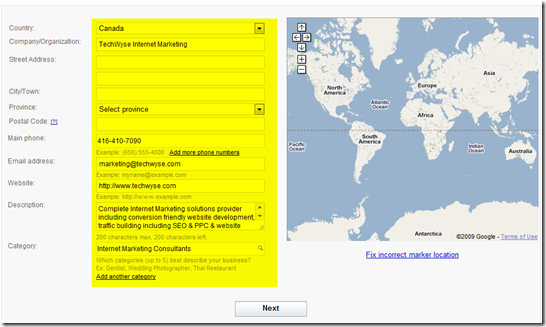 Category – You can create or associate your ad to up to 5 categories. Make sure to offer a combination of the most broad categories that describe your company and more descriptive ones as well. In the case of TechWyse we would add things like, Internet Marketing Consultants, Web Designers, and create categories like Website Analytics Company and so on. Try also to use all 5 categories! 5. Add New Listing or Claim an existing listing. After you type in your address, chances are that Google has already sourced your information previously. If this is the case, you want to “Claim Listing’ so that you can enhance the pre-existing listing that is already in place. Even if it is the wrong address, make sure to claim what is there and simply correct this information. Since Google already has this in the index a ‘Claimed Listing’ will be much easier to enhance then a new one. 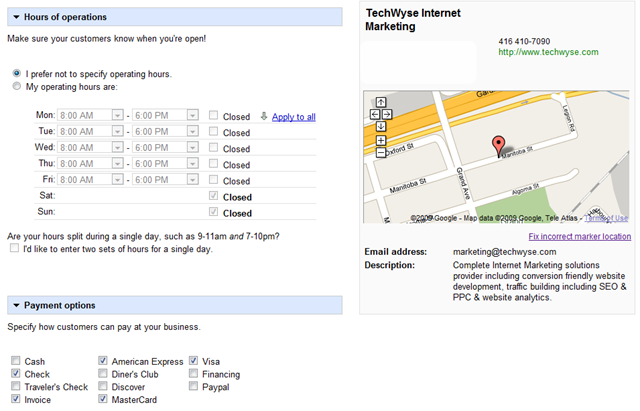 In this example we are going to add a second location for TechWyse. 7. Validate your address details. What you want to get now is your verification pin code. For the fastest verification process make sure that you are available on the phone number listed. If an automated attendant is setup you may want to consider either changing the number or if you can wait a couple of weeks Google will send you a postcard which has the pin code attached. WARNING! If you did choose the phone option, as soon as you press the ‘Finish’ button be ready to pick up the phone and write down your Pin Code. It will only be spoken twice and you don’t want to miss it! 8. Verify your address by entering the PIN Code and click ‘Go’. You are done! Congratulations! You completed your Google ‘Local Business’ listing! Not seeing you listing? Don’t worry, Google does sometimes take some time to process the information that you have uploaded. If you are still concerned here are some helpful tips and tricks to consider. Here are a few tips that we suggest to ensure that your listing not only shows, but that the audience you want seeing your listing sees it! Google (and all search engines) love information! That is how they figure out what you do. If they are asking for something then give it to them as detailed and accurate as possible. When adding your domain make sure you list the most authoritative domain that you own as Google is sourcing much of the text found on your domain to categorize your business. Use a combination of both Google categories and even create specific ones if need be. Be as accurate as possible! Still Thirsting For Local Business Information? 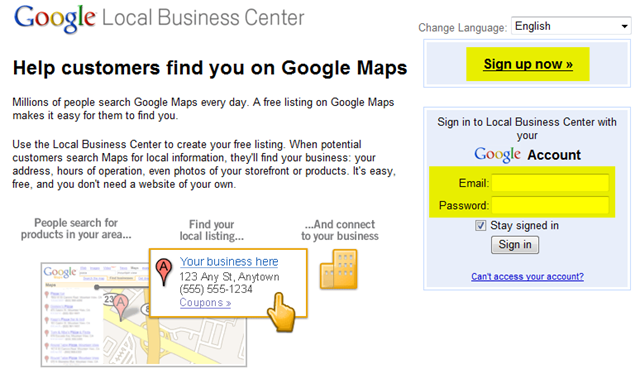 Here are some helpful resources Google provides to help understand the ‘Local Business Center’. If you have any more comments about your own experiences we look forward to hearing them! Very descriptive and yet presented in a nice manner. In fact the graphics made it look much easier. I guess this is a great guide to boost your business. Thank you for this great article!" Nice job breaking down the process for using Google Local. I’ll definitely recommend this article to a friend I was just talking to about this. You’re right Melih, as all these local business centers have different procedures and steps involved, it would be better to have posts like this. For sure, they can act as a ready reckoner for all those interested. DJ, guess you guys can do it with the usual temperament. One of the changes going in the local business listing with all the search engines and local website directories (like Yelp or Local.com) is that the number of locations is on the rise. Most local businesses will not be able to keep up with all the locations they need to update and maintain. While I am not going to disagree that Google is the 800lb gorilla “on the web”, but in the mobile marketing and mobile device space the playing field is a bit different. When it comes to mobile marketing, application developers will decide which database they want to use, therefore, the more locations that are updated and maintained the better for the local business. If you add that Twittering will become an addon to local business listings, the potential of dissatisfied customers walking out the door and Twittering or writing a review will add to the burden for local businesses to manage these listings. It is a changing world and the local business will benefit. There will be some adjustment to this space needed. Your post is great for procedures at Google. Now we need to add Yahoo, Bing, Yelp, Local.com, Ask, Merchant Circle and many more. Thanks for the detailed step by step information. 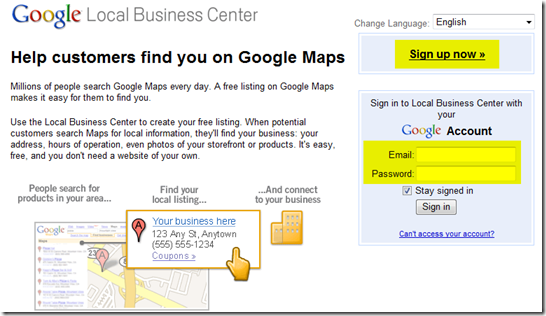 I used to add listings in local business centers, but did not follow all these steps. 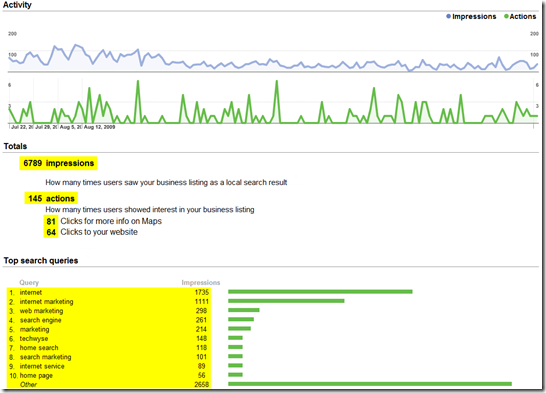 I would encourage everyone to read this post for achieving better visibility on local areas. I am expecting similar info on Bing & Yahoo! listings too from you. Website Conversion	Smart Online Marketing Tips for the Holidays!